If you are from the US, Ireland, UK or anywhere in Europe you might be wondering can I buy things cheaper in Poland. My answer is yes generally. I will back this up by data found on numbeo.com. However, it is not just about finding a cheap price, but quality and the things you will actually use or enjoy. 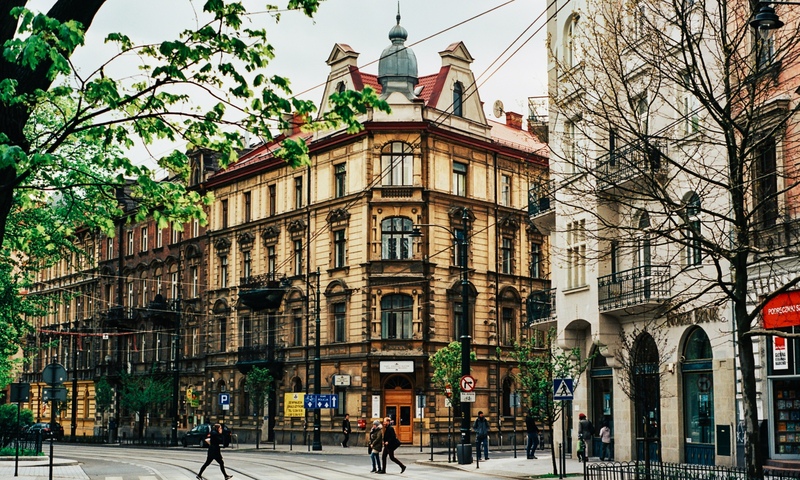 This post is an insiders guide to shopping in Krakow, Poland. You would probably expect me to say the best shopping spots in Kraków are Floriańska Street and Galleria Krakowska, which are located in the center, but these are actually the worst spots, unless you don’t mind overcrowded places geared for tourists. I prefer peaceful shopping with better prices and try to avoid those places if I am not in a big hurry. Here is my list of places to shop in Krakow for various consumer and tourist items written by a Cracovian who shops. Krakow has the largest shopping mall in Europe - this i a bold claim but if you look at square feet I think it is, but this is largely because of the large movie house in this mall so it ups the size a bit artificially. 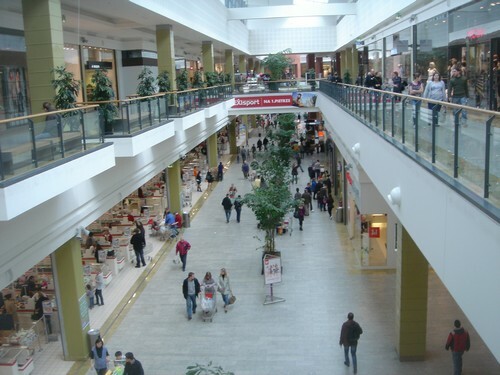 Clothes – The most convenient place to shop for clothes in Kraków is Bonarka City Center. The location is about the only issue it has, it is definitely not as approachable as Galeria Krakowska, but a lot less crowded, too. Whatever it is that you are hunting for, in Bonarka you have more to choose from than anywhere else. 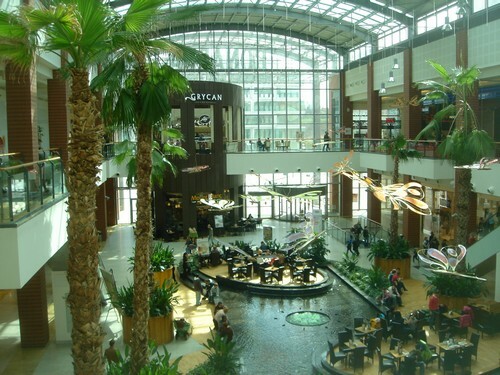 It is a huge 2- story mall with all kinds of shops. I think it is the largest mall in Europe almost as big as Mall of America and the King of Prussia Mall in the USA. Watch out though, because of its size it is easy to get lost and the maps are not very helpful. So if you want a mix between Polish prices and Western brand names go to Bonarka. Take the bright yellow 304 bus there. In this mall my favorite shops are – Auchen for WalMart prices. It is the French WalMart. For women’s clothes Kappha (Swedish Store), Reserved (Polish store). Food – If you are looking for a place to buy cheap food, again Bonarka is the best choice for you. This is where the cheapest supermarket in Kraków is. When it comes to fruit and vegetables, there are Stary Kleparz by Basztowa Street and Nowy Kleparz at the end of Długa Street. The sellers are often the ones who grew the crops. I cannot say it’s organic food, but it tastes real and nothing like supermarket stuff. Kleparz offers all kinds of goodies, from usual things such as bread or cabbage to hand carved wooden spoons, wildflower bouquets or funny cosmetics sold by a Russian girl. If you are in need of something sophisticated and rare you should probably look in one of Alma stores as they tend to carry a lot of foreign food that is generally hard to find in regular stores. 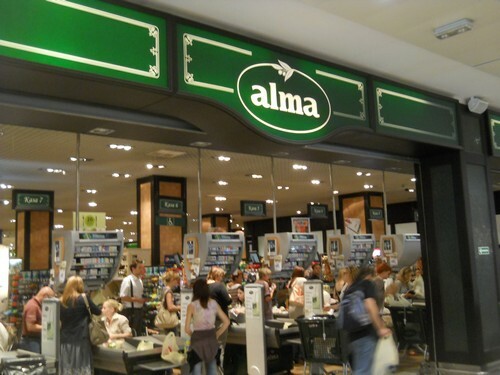 I also like Alma, which is basically WholeFoods of Poland. There are many Alma’s in Krakow but I go to the one in Gallaria Kazimierz. They also have Kosher food in Krakow if that is important to you. Antiques – There are several antique stores in Kraków and I think Kazimierz has the most of them. 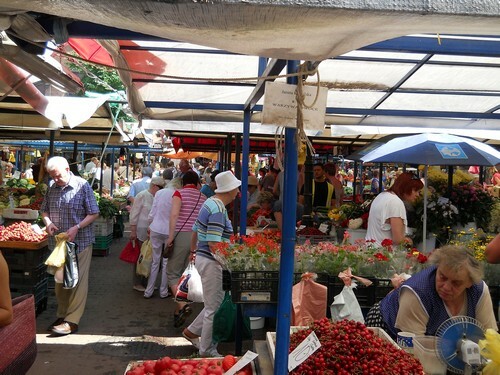 There is also a flea market every Sunday morning at Hala Grzegórzecka. The prices are very decent and you can really find some treasures or crazy things. I’ve even seen a big fossiled egg one time. 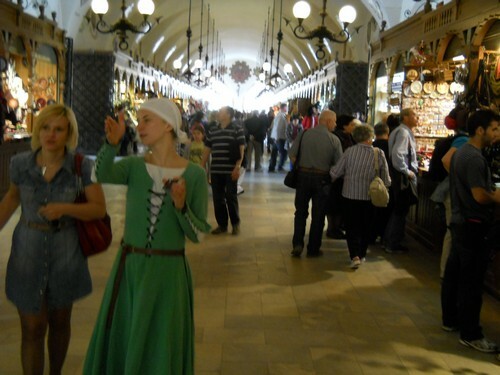 Souvenirs – I know this is quite obvious, but I have to say Sukiennice (Cloth Hall). Not only because everything in it is about souvenirs and you have a lot to choose from. They are real souvenirs from Kraków, designed and made in Poland, a lot of times by hand, not something that says Kraków but was made in China. The fact that it is a historical building and most likely the first mall in the world makes it more fun to shop there rather than in some regular souvenir shop. Other than that, I think Grodzka Street has a lot of gift and souvenir stores, there is also a good one in about the middle of Sławkowska Street, you can recognize it by different kinds of stuffed cats in the window. There is another good one on Gołębia Street and I believe that one only sells handcrafted items. If you happen to be in Kraków around the holidays- Christmas or Easter, you should definitely check out the holiday market that is set up twice a year before the holidays. 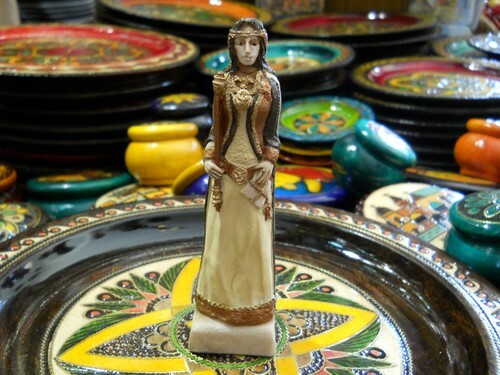 This is where the most unique souvenirs are, especially pottery. If it’s there you will see it as it is right on the Main Square. Art – You can buy paintings at the famous wall on Pijarska Street as well as in numerous galleries around the old town, such as one on Poselska Street, Dominikańska Street or Plac Szczepański. It is not hard to find one and you will most likely come across a few of them while taking a walk around the historical center. Books– Go to Empik for Polish books and magazines in all languages and Massolit for used English books cheap. Massolit is more an expat hangout in Krakow. These are things to buy in Cracow. I think the these are all good, but if you want a nice gift or something of lasting value, buy Amber. Obważanek, also referred to as precel, although it is not its proper name, is probably the most Kraków thing. 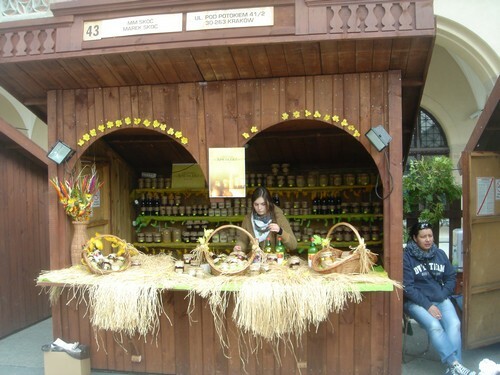 There are stands selling obważanki all around the town. It tastes close to a roll, but has different crust and is sprinkled with poppy seed, sesame, or grained salt. It’s fun to get one and share it with the pigeons or swans by the river. Do not buy one with salt if you want to that though. This is literally a pretzel circle. Dragon. It’s a symbol of Kraków. You will see dragons on every souvenir stand around the town. There are all kinds, little wooden ones, bigger stuffed plush ones and dragon t-shirts too, so make sure you do not leave Kraków without one. It might be a little tacky but it’s like going to Paris and not buying a miniature Eiffel Tower. Bombki. Poland is famous for hand-made and painted glass Christmas ornaments. You can buy them at any time of the year, for example on Grodzka Street, although they might be slightly overpriced in the very center of Kraków. A zapiekanka in Kazimierz. Another very Polish thing. It’s fast food, but probably a kind that you have never tried before if you are a foreigner. You can get them anywhere in Poland, but Kazimierz has the most sophisticated ones and you can pick each ingredient that you want as your zapiekanka topping. You can read more about zapiekanki in a separate post. Amber. The Baltic Sea is the richest sea in the world when it comes to amber, so you will see plenty of amber jewellery in Kraków at good price. This is a good gift idea, too. Talented Krakow artists are everywhere, this city is a mecca for designers and the prices will be a fraction of NYC or London but better quality in terms of material and design, really. Wawel chocolate. Especially the Kasztanki or Tiki Taki kind, simply because you will not find it anywhere else other than Poland. Any tips on quality hand carved spoon makers would be appreciated. You can find that type of thing in the Chistrmas markets in the city or more towars the moutains. I am new to your website and not sure exactly where to email you. I have several questions I’m hoping you can help me with. I’m making my first trip to Katowice in about 6-8 weeks. My great grandmother was born in a small village outside Krakow and after her parents died she was sent to an orphanage. How can I find out more information about my great grandmother? What orphanage she was at and where she lived? You can simply go to the village and in the church records they will have something, you can make a donation for their efforts. Where can I find paintings or posters by contemporary Polish artists? Are you looking for real artists there are a number of galleries and countless students. What level of professionalism are you looking for in art? Something for your home or for appreciation value? Let me add a little to the list. 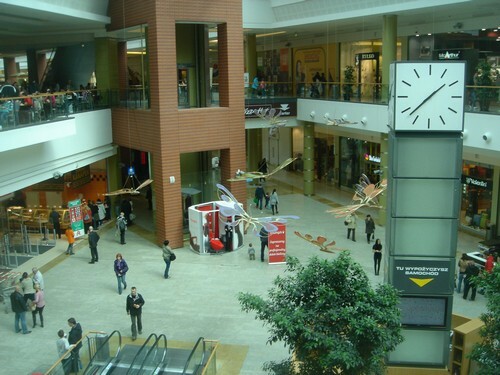 There is a new shopping gallery called Galeria Bronowice, it is by Ikea. 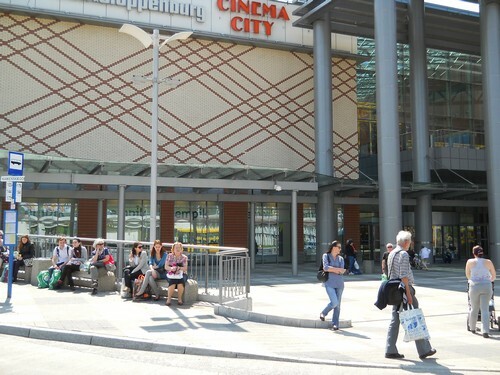 It’s not overcrowded like other malls and has Auchan (cheap grocery). Nothing special, but you can find that dream pair of jeans without bumping into someone every 2 seconds, and that makes it worth the trip. Where to buy antiques in Kraków? For antique shopping I think the Balicka market is worth visiting and the prices are a little lower that at shops or Hala Grzegórzecka. It is open on Saturdays from 9-2 and Sundays 7-2. Also, M1 mall has antique sales every now and then, but you just have check their website because they are not on a fixed schedule. What online shop can I find a nice warm winter coat with fur on in Poland? I am devastated because I have broken my treasured Christmas glass bauble that I bought on my visit to Krakow. Is there anywhere I can purchase another one online. I’ve looked on ebay and can only see one which would come from USA. It was quite large and had a little picture on and written Krakow. I don’t need one the same but do really want to replace it. I would recommend the Polish site allegro.pl If you can not find it there surf the web in Polish using google translate and you will find a score of items like that for a present. I am on the way to visit Krakow soon, Can you provide some infromation about the stained glass sheet and other material to made the stained glass windon. I would have to price it out. Certain things like Amber are a fraction but time changes and so does supply and demand, price will fluctuate on market in Poland mostly on the suppliers. Perhaps the US has lower cost source at this juncture.